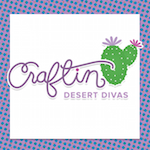 Hey Divas!!! 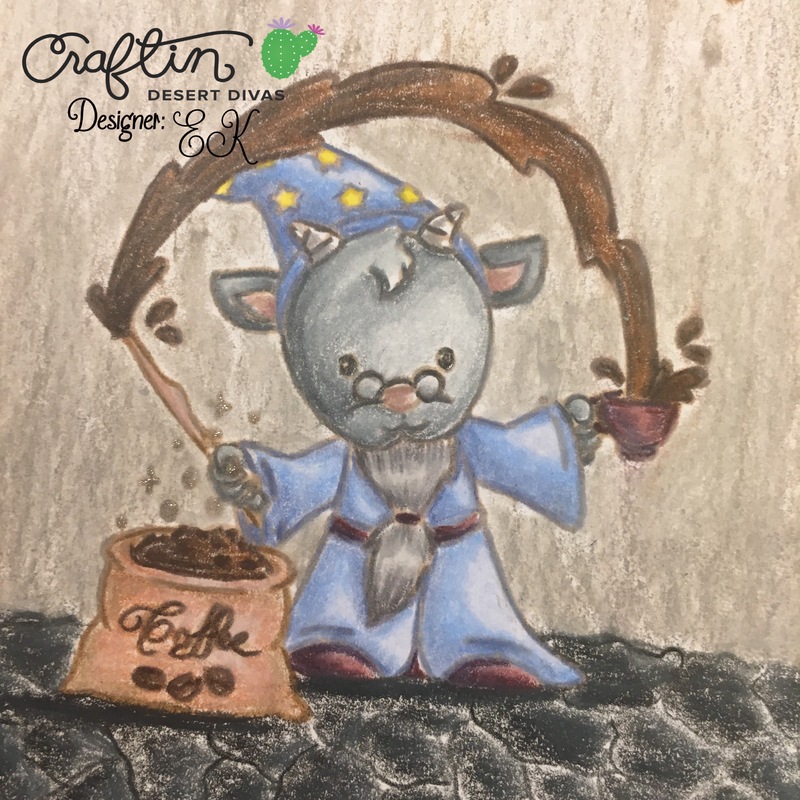 DT EK here sharing a little peak at how I color with my Prismacolor colored pencils a scene featuring CDD's Coffee Wizards stamp set. I started with the wizard's robes first. I used a combination of cloud blue, light cerulean blue, and periwinkle, starting with the darkest in the shadows, and blending down to the lightest. I colored the bag and both shelves in with a combination of burnt ochre, light umber, and putty. 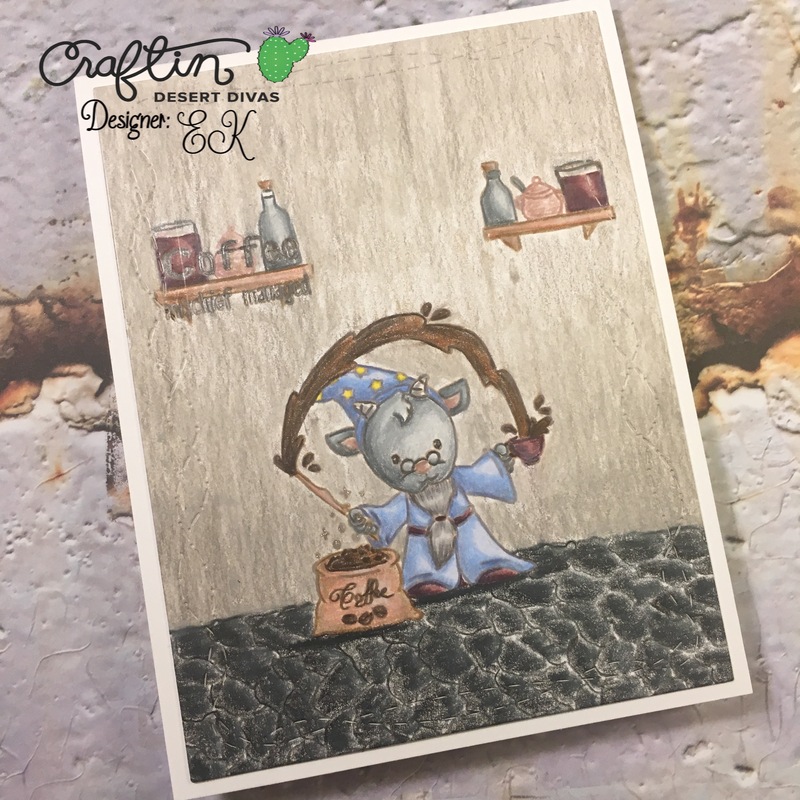 Again I seemed to miss a photo here, but I colored in the wizard's nose, ear centers, and the sugar pots on the shelves with clay rose, rose beige, and beige sienna. I didn't want to do much with the back wall, but wanted to give it a bit of a dungeon feel, so I colored it in with 90% french gray, 70% french gray and 20% french gray. 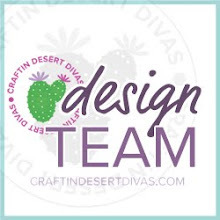 I die cut the scene out with (my new favorite) die Crazy Stitched Frames. I added the scene to an A2 card frame and added some glitter to the coffee bag's magic with a little Silver Star Gelly Roll Stardust pen. Aww...such a fun card! Wonderful coloring!